If you’re new to GTG, you can sign up for an account HERE and get 100 bonus points just for doing so. 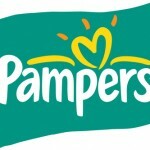 You don’t have to be a mom or a dad to benefit from Pampers Gifts to Grow – nor do you have to have kiddos in diapers. While you do get rewarded for entering codes from Pampers diapers and wipes, there are all sorts of free Pampers Gifts to Grow codes like this one, which you can use to earn points – and redeem for prizes. Prizes range from coupons for free diapers or wipes to magazine subscriptions and store gift cards.